“What if somebody built a Singer-style XYZ?” It’s not an original question, and it’s been asked often enough (I would know), but the general rush to create drivable answers has resulted in some amazing cars that push their original concepts forward rather than smothering them with shoddy retrofits and too many LEDs. 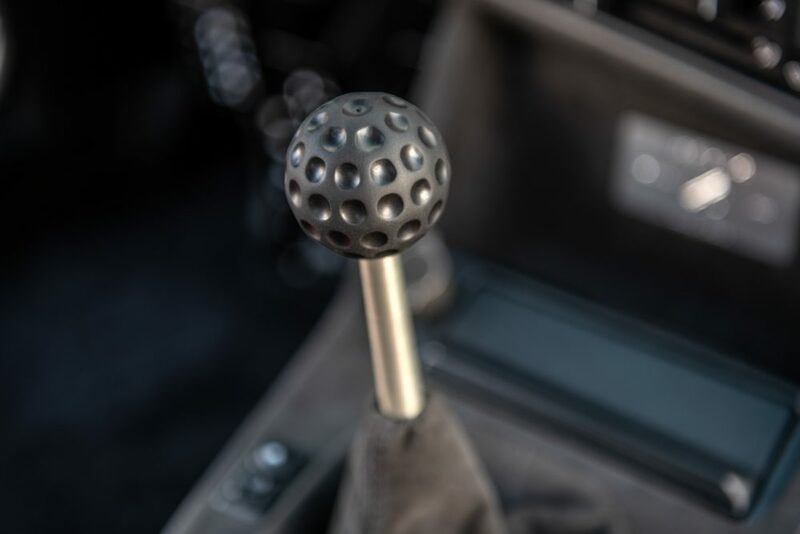 The last few years have made it clear that demand for high-quality and era-sensitive restomods has gotten to a point where we might need someone clever to make up a new word before “Singerized” becomes the lazy de facto description of anything old with new leather and more horsepower. 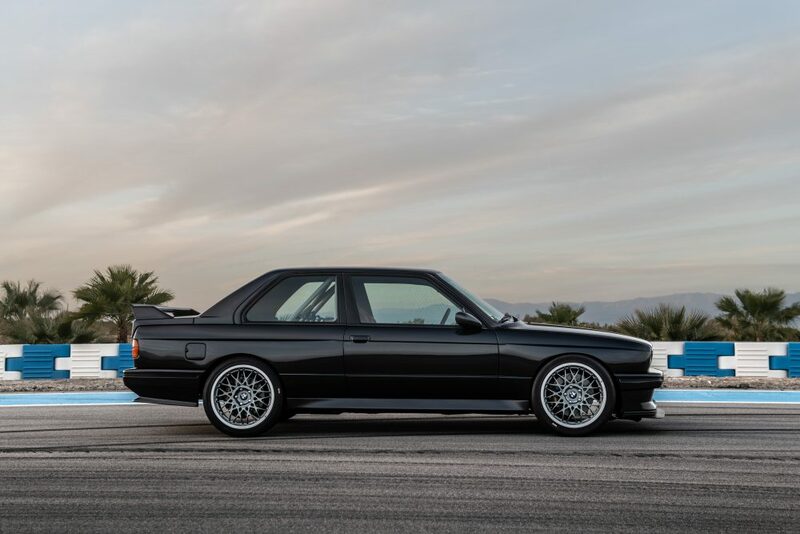 You’re free to compare the boxy Bimmer pictured here to whichever re-imagined sports car you like, but if you know a little about the E30 M3 you’ll realize this isn’t just a piece of auto pop culture with some anodized trim trying to cash in on Singer scraps. Not even close. 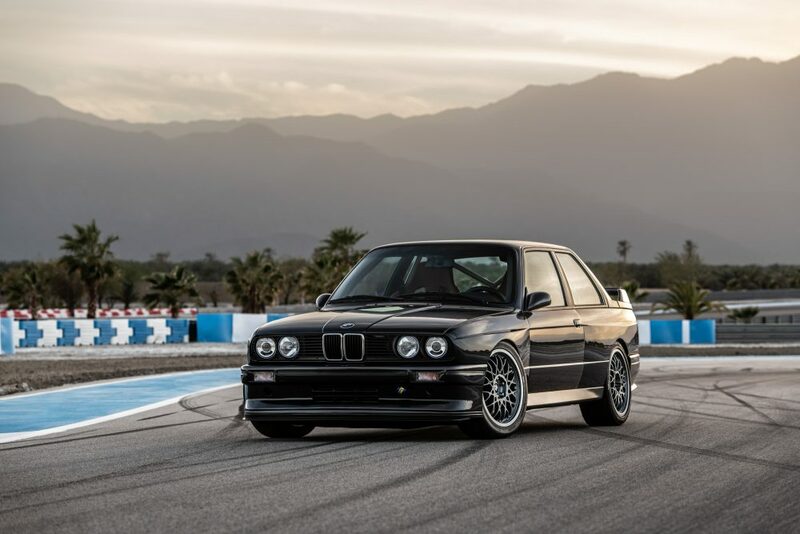 This project is years in the making, and the result of Redux Leichtbau’s hard work is a very compelling candidate for the ultimate E30 M3 experience short of taking an ex-touring car out for a lap of the ‘Ring. 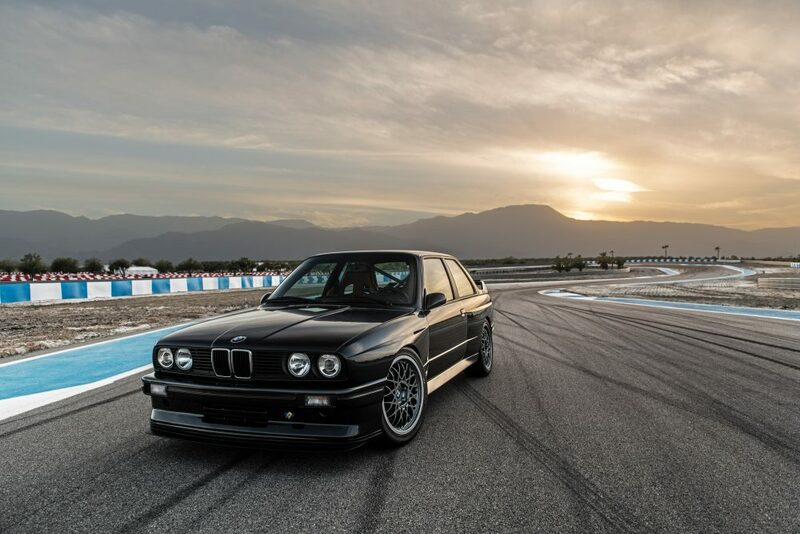 It began as Redux CEO Simon Lord’s personal project: build the perfect modified E30 M3 inspired by the legendary Group A machines raced by BMW Motorsport, Schnitzer, Alpina, and so many other teams that found success with the Bavarian marque’s first Motorsport-tweaked 3-Series in the 1980s and ’90s. 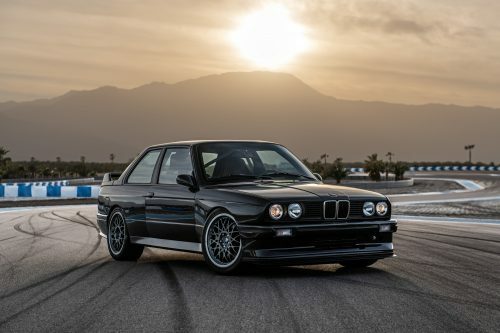 The original M3 is famous for the abundance of differences between it and the base 3er of the time, but in order to bring his street car up to the specs he had in mind, Simon would have to alter quite a bit more of the already high-strung coupe. 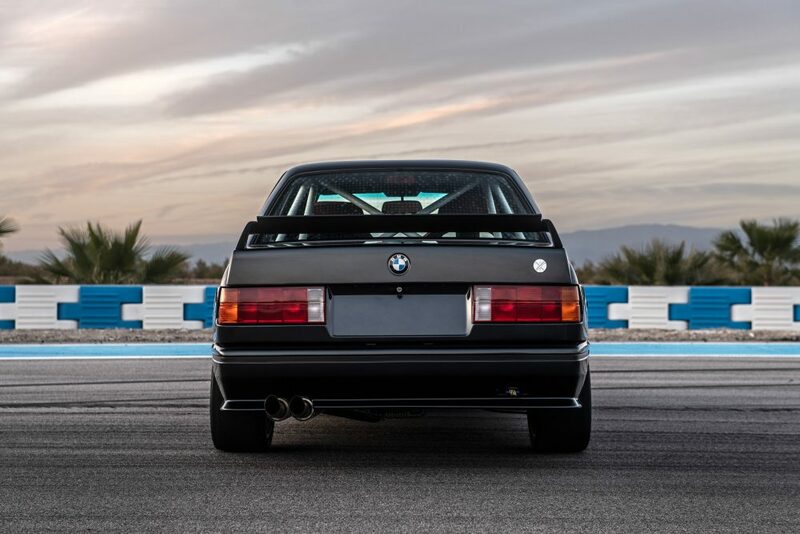 Along the way the decision was made to expand the idea into a limited run (30 cars, naturally), and what you’re looking at here is the first completed car delivered to Southern California from Redux Leichtbau’s headquarters in the UK. 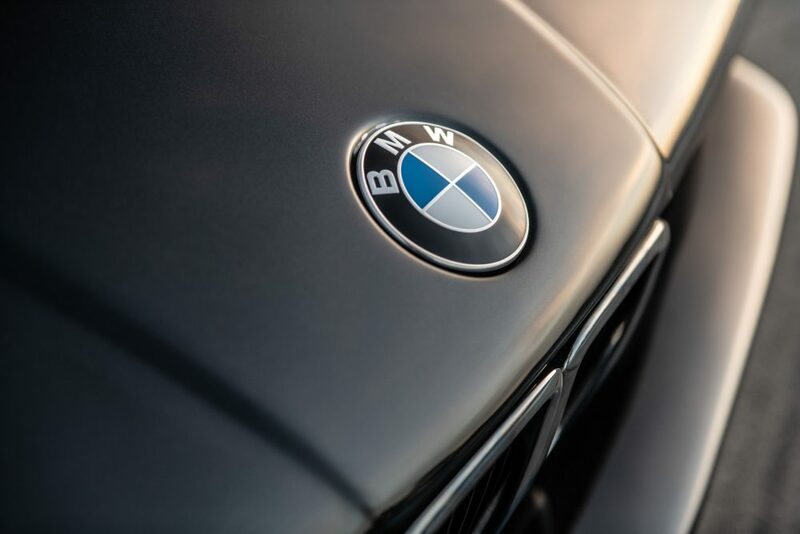 Their partner for US distribution, sourcing, and logistics is Enthusiast Auto Group in Cincinnati—a name that any Rosche-fearing BMW disciple should know by now. 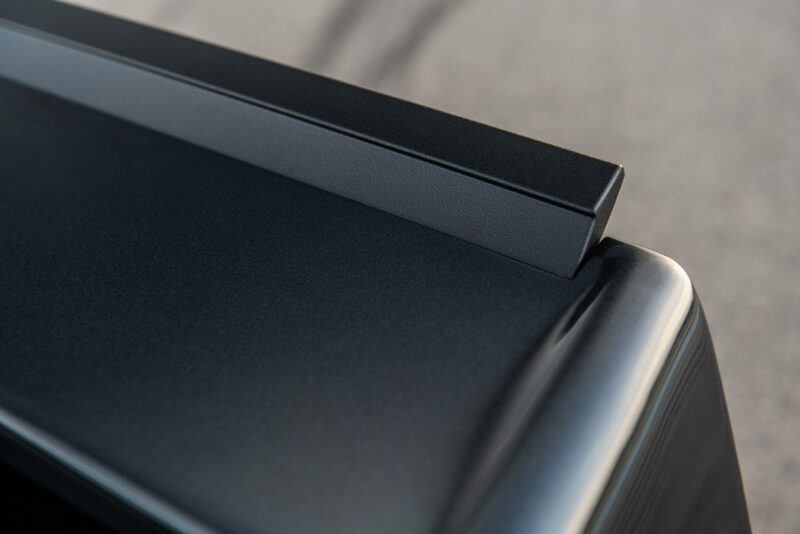 The car itself is assembled in the UK, and the process is a comprehensive one. Beginning with an M3 donor, everything is stripped down for the piece by piece rebuild that’s to come, the shell is then media-blasted and reinforced with additional welding to stiffen up the floor pan, along with new mounting points for the optional half or full roll cage and the hand-fabricated Group-A inspired suspension geometry. 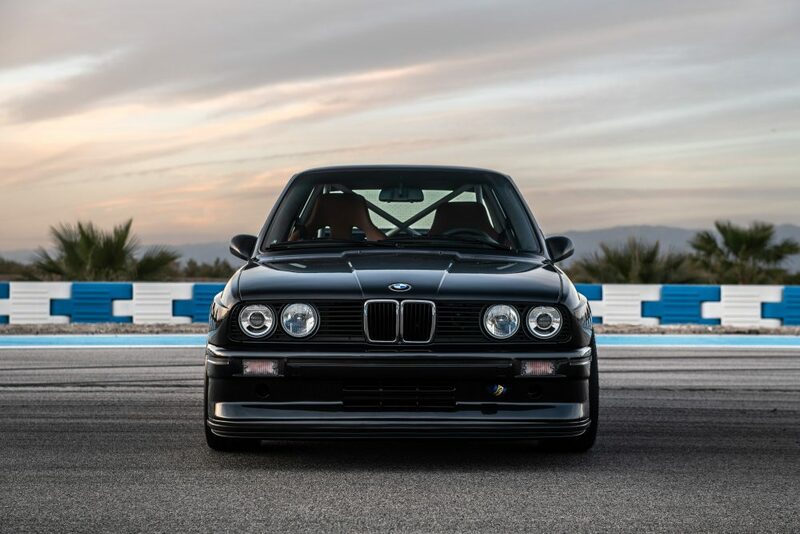 The factory-spec M3s have had their roadholding praises sung since the first round of magazine reviews in 1987, but to achieve something worthy of the car’s motorsport heritage beyond aesthetics, the Redux cars feature a custom three-way damper setup developed by EXE-TC Competition Suspension. Don’t know who they are? 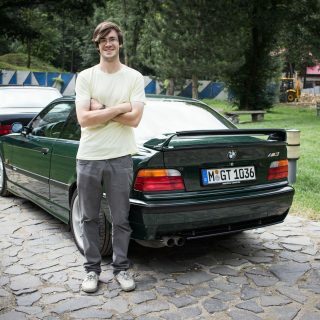 For starters, these guys helped Sebastian Loeb rack up multiple WRC titles while holding sedan lap records on both the Nürburgring and the Snaefell Mountain Course (the other really big one that kills people, on the Isle of Man). 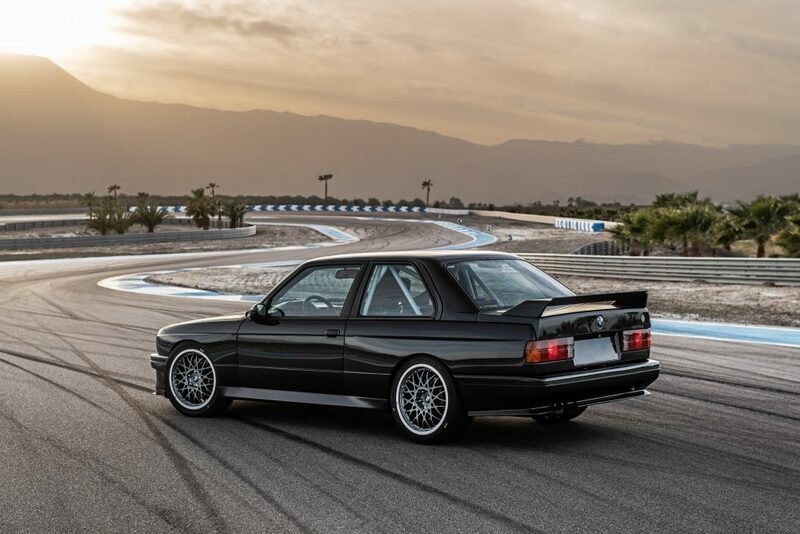 Behind the Cinel DTM-style forged aluminum wheels are some muscly brakes from AP Racing—six-piston fronts and fours for the rears, grabbing 330 and 304mm discs respectively. 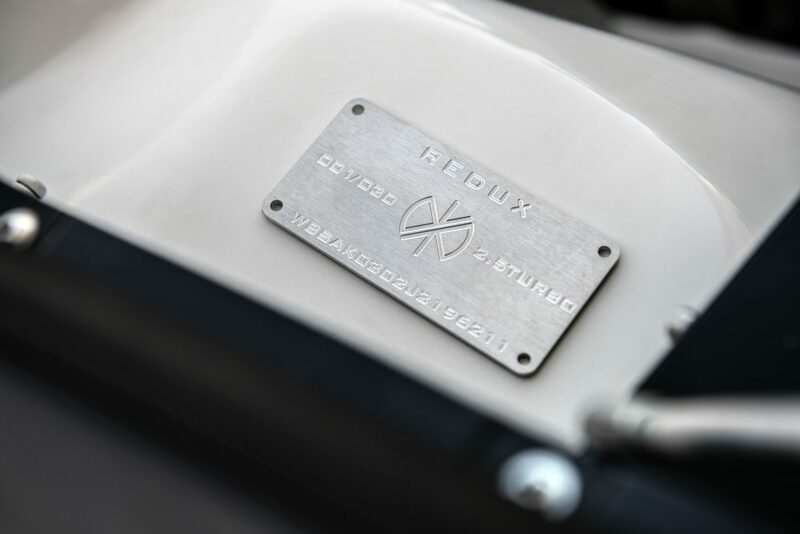 Future Redux builds will have larger front and rear discs (355 and 330mm), or the option to go for a ceramic setup. 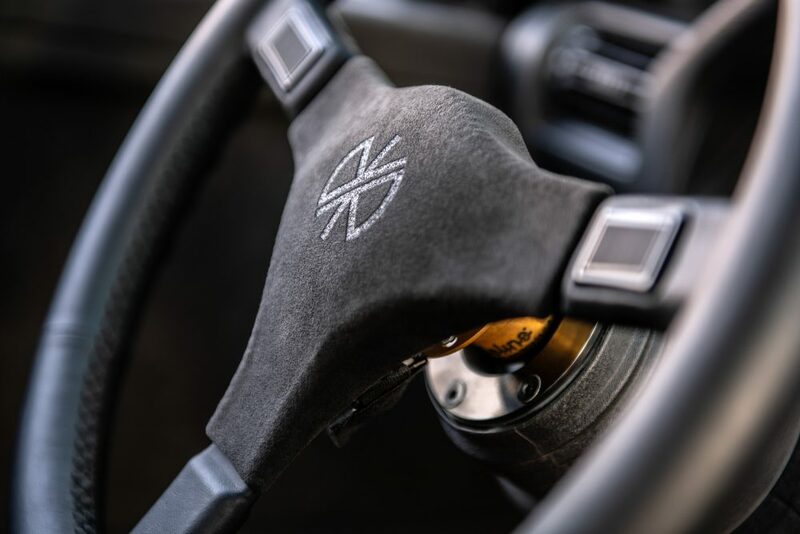 Beyond the composition of the brake rotors, there are other options for customers to select from. 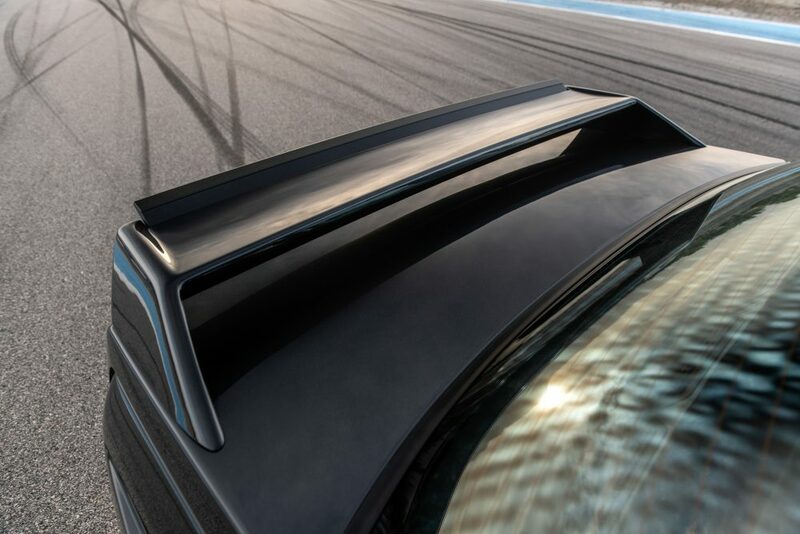 For instance, one can opt for a carbon fiber roof in addition to the carbon body panels used to replace the front bumper, front fenders, side skirts, and rear bumper. 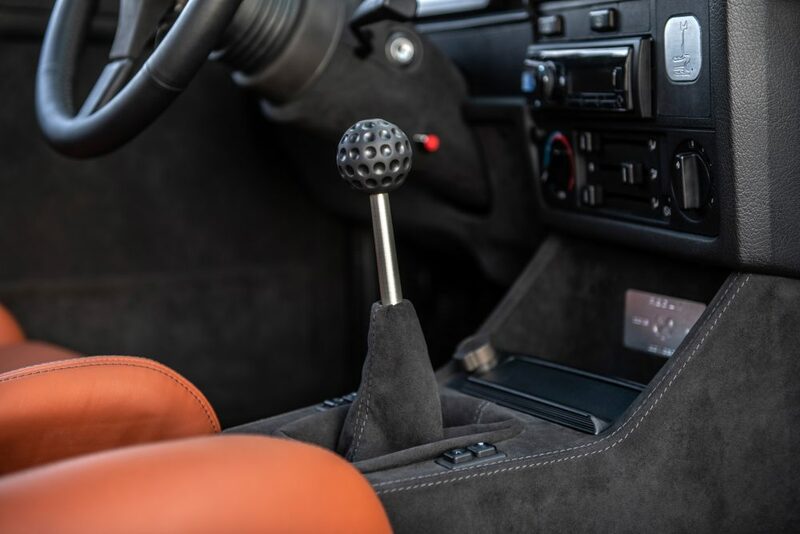 Mix and match Alcantara and cloth and leather in the interior; play with color schemes, roll cage options, damper settings, and everything else, but the real bifurcation of the Redux-evolved M3s starts with the power supply. 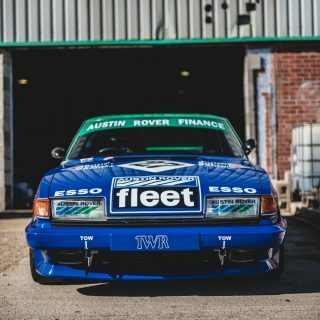 The question of which base to use was never really a question—it had to be the inline-four S14—but getting the thing to produce touring car-spec power figures without blowing up every other weekend required some proper work. 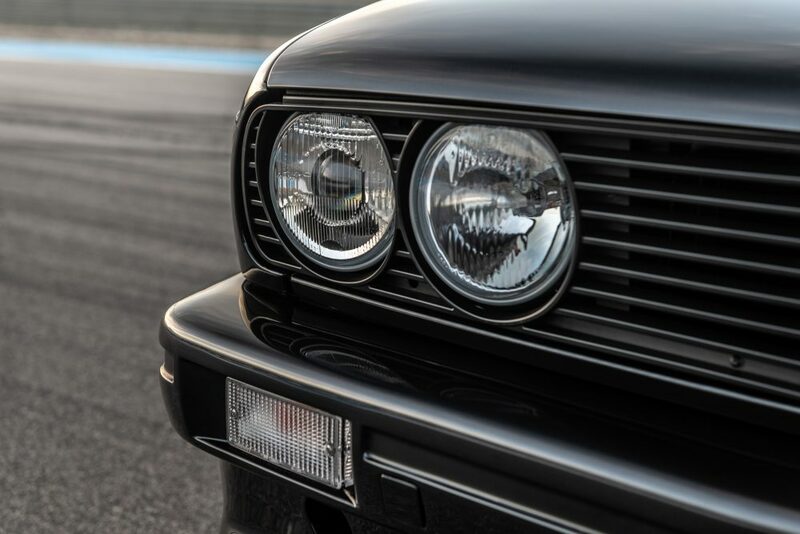 At their peak, the BMW works cars were making horsepower numbers approaching the 400 mark, and the fact that these naturally-aspirated lumps would live very short lives between tear-downs was a given. 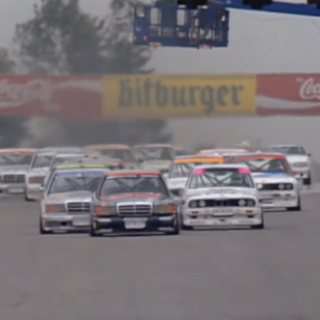 That’s a fine strategy when you’re racing with the backing of a works team, but to get his street cars to produce comparable power to the DTM stars meant Simon had to take another route. 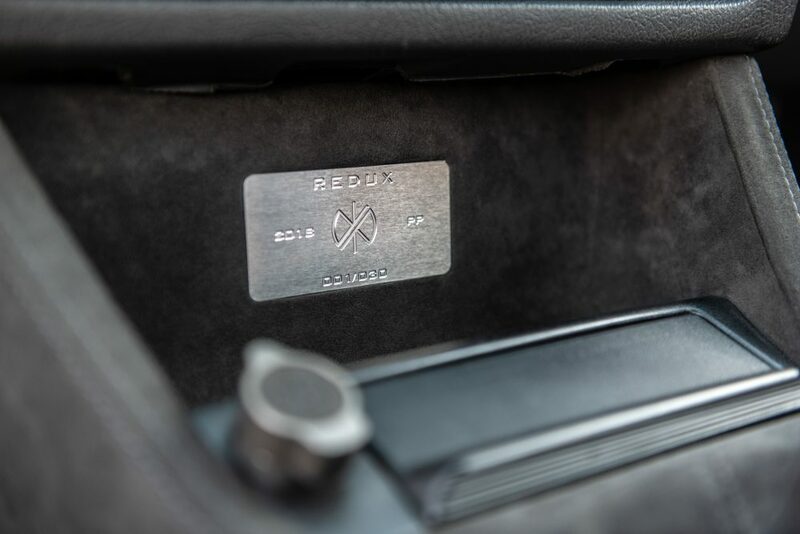 The example shown here features the turbocharged option from Redux (they also offer a naturally-aspirated 2.5L S14 with all the fixin’s), which is good for 390bhp and 390lb-ft of torque from the 2.5L S14 running at one bar (~14.5psi) of boost. 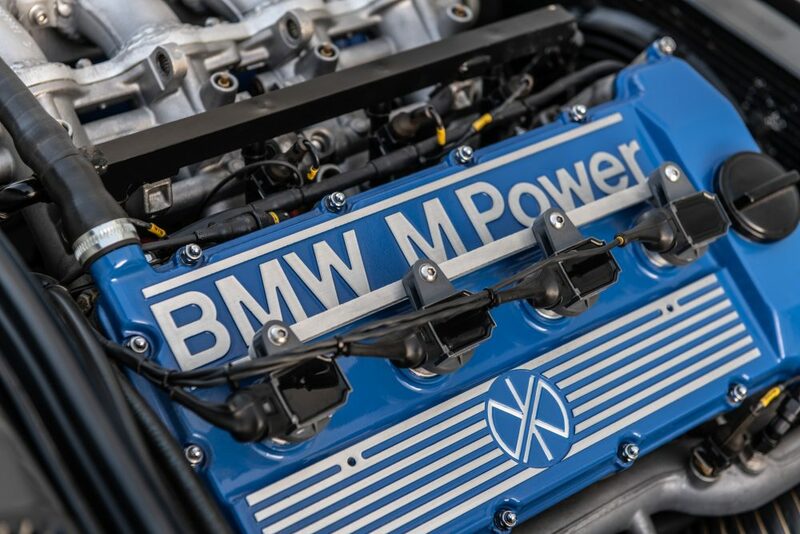 That’s more power than the DTM cars had at the end of their development cycle, but the block can handle the extra twist (just look at what BMW accomplished with the humble M10 four-pot when they created the turbocharged M12 for Brabham’s F1 team). It’s not just a matter of attaching a big snail and an oil feed though. 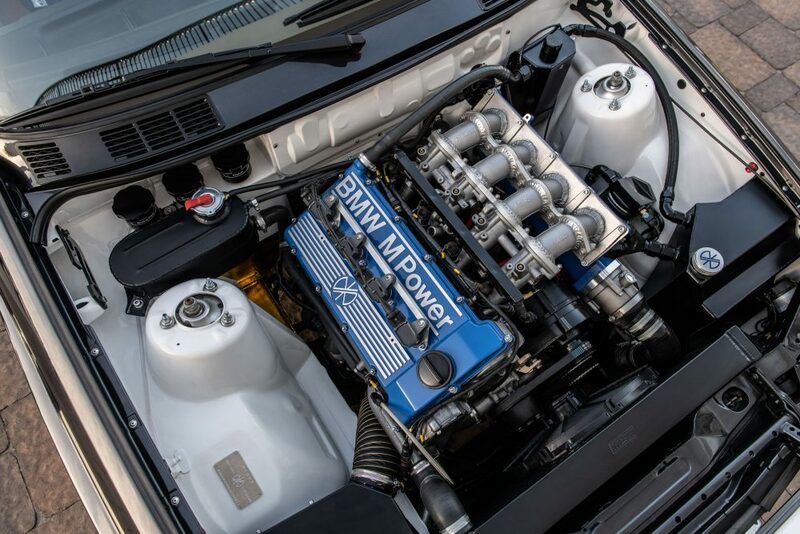 First, the 2.3L unit is enlarged to 2.5L with new pistons, connecting rods, and a BMW Motorsport-sourced crankshaft, then the turbo setup is fitted with the intercooler and larger radiator to support it, and it’s all run by a pricey MoTeC brain. 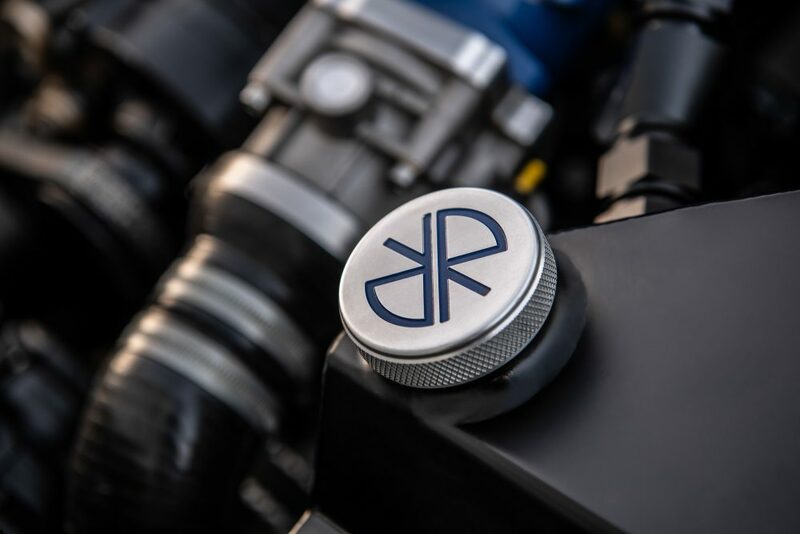 The rear end is accordingly beefed to accommodate everything going on in the bay, with heavy-duty half-shafts and a new larger-diameter driveshaft running down the underbelly and into the rebuilt diff. 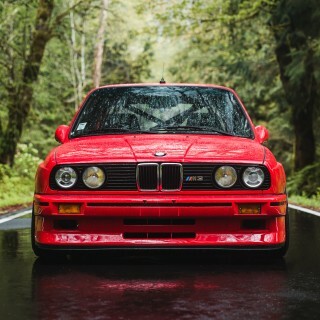 This car, being in California, somehow manages to keep it all CARB legal too. 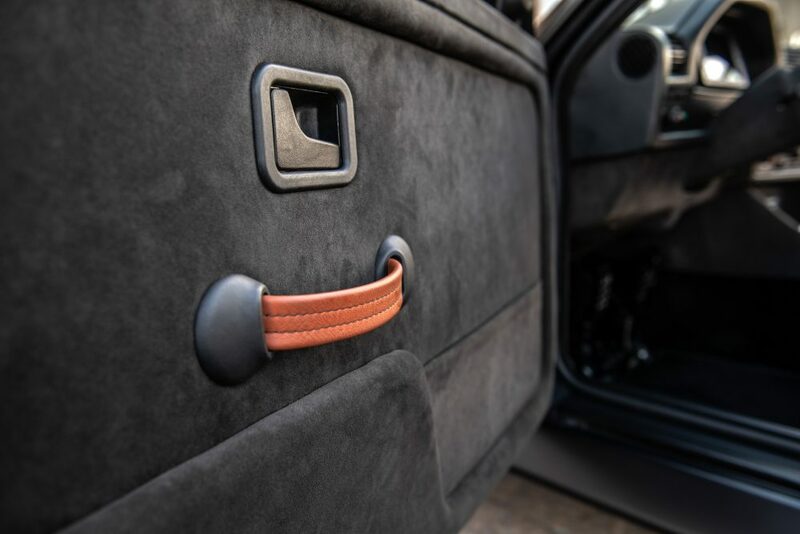 As you can see in the interior shots, the standard E30 cabin shapes are recognizable, but there’s a well-grafted blend of touring car styling and high-end build quality in here that does justice to the car’s heritage without parodying it. 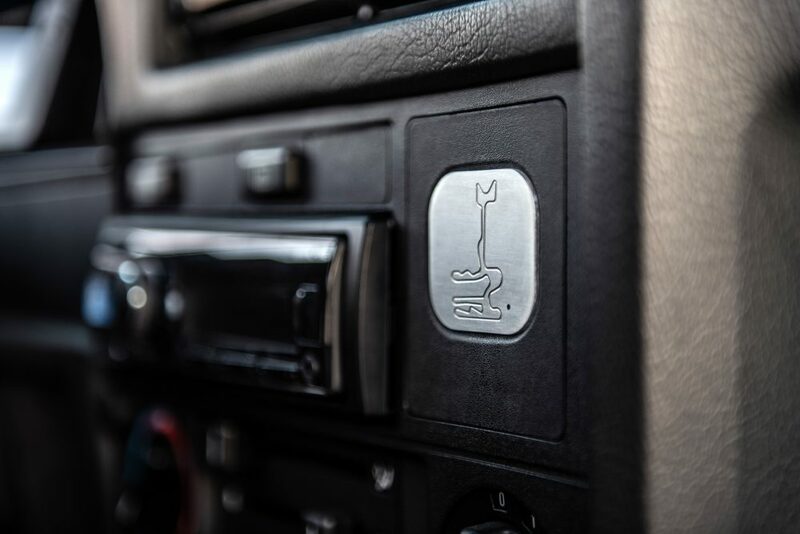 The classic Italvolanti wheel is there, the “golf ball” and the digital display in the center of gauge cluster are too, but I like the fact that the owner’s decided to keep the hard plastic upper portion of the original BMW dash just like the touring cars. 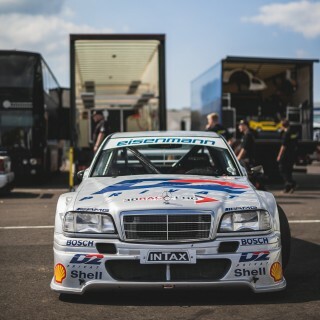 Modern elements come from the caramel-colored buckets, the stereo head unit, and the fact that the digi-dash is a modern MoTeC piece rather than an older example of the STACK system that the race cars used in period. 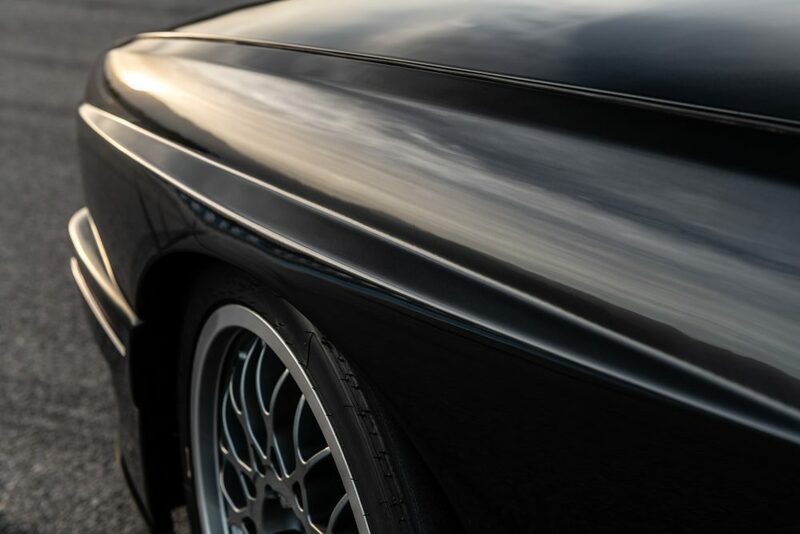 Tweaks will be made to the recipe over the course of the 30-car production run, and while the individuals spec’ing each of those cars will ensure that each one is unique, they will exist as a collective reminder of just how good a restomod can be when it’s led by somebody who truly respects the source material. 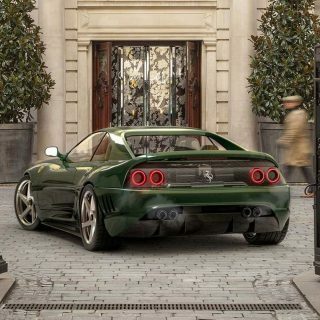 And if faded Hellrot examples on saggy Bilsteins and dry Dunlops are still regarded as the choice of motoring deities, then what would you call this? I think that comparing any restomods out there to a Singer Re-imagined Porsche is a futile endeavor! I feel that comparing any of the restomods out there to a Singer Re-imagined Porsche is a futile endeavor! I think that comparing any of the restomods out there to a Singer Re-imagined Porsches is a futile endeavor!